A twinkling trio sit as the centerpiece for this captivating The Diamond Story ring. 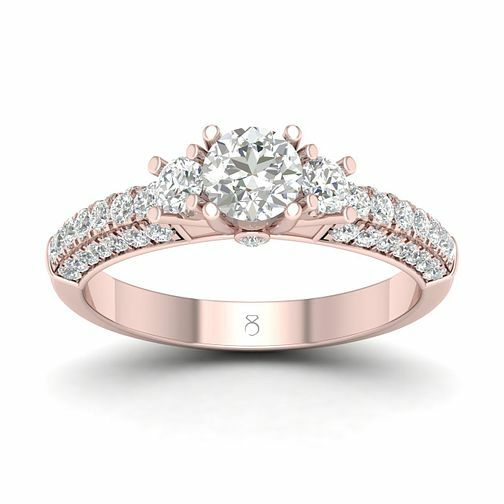 As part of the LOVE collection, this ring glistens from every angle with stunning set stone shoulders upon the 18ct rose gold band. With dazzling diamonds totalling 1ct, this ring is exudes elegant excellency. Celebrate your engagement with The Diamond Story. Certificated by GSI.